Click here to go to my article in the Southeast Farm Press, concerning nematodes . Last week I had a photo of a large insect I’ve often seen, but that amazes me every time I see one. 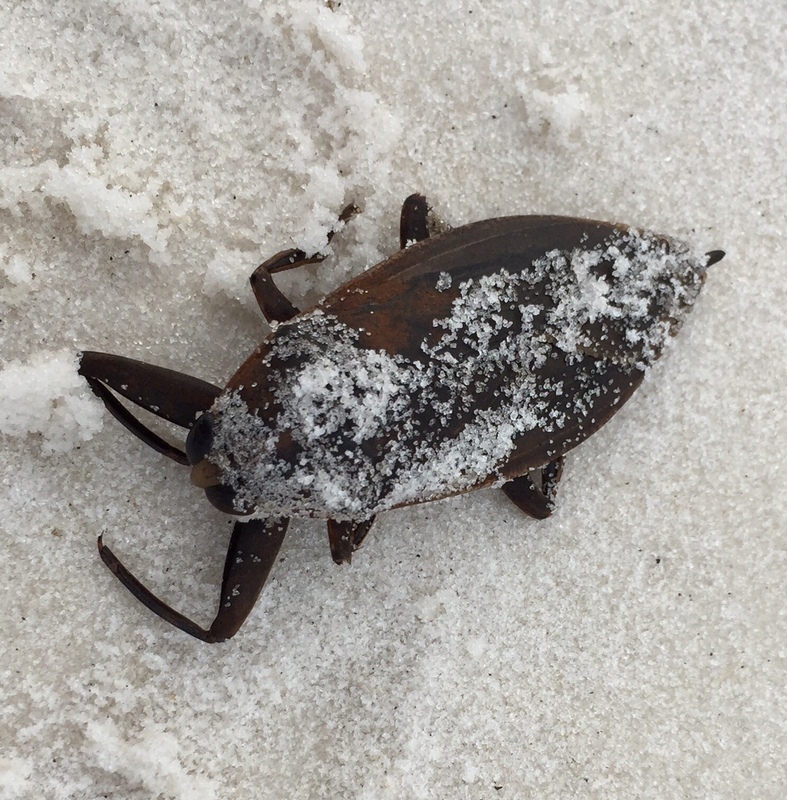 It’s the Eastern Toe Biter aka Giant Waterbug. They aren’t beetles but are true bugs like the stinkbug. They are able to inflict a painful bite with their strong beak, and may also pinch with their front legs. They prey on aquatic insects, small fish, frogs, tadpoles, small birds, and other organisms they are able to capture in the water. Powerful enzymes are injected into prey to kill them. They are considered a delicacy in Asia. Here’s this week’s question. What is this animal I found last week and why is it important and special? 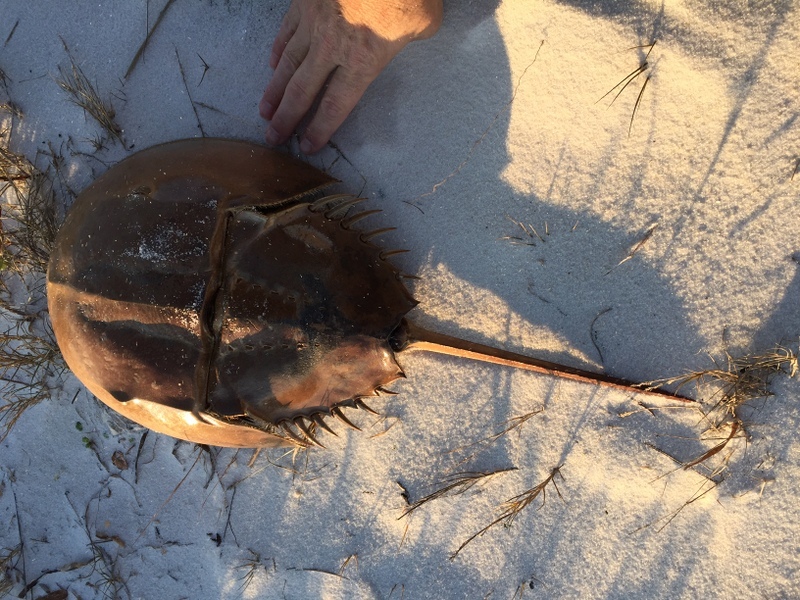 This was one of the largest I’ve come across. Chase Hembree will be the new Agricultural Agent with The University of Georgia Cooperative Extension Seminole County starting on February 1st. Chase was raised in Newton, Georgia by Pat and Jahnette Etheridge. He graduated from Westwood High School in Camilla, GA where he participated in the 4-H in Mitchell County. He attended Darton College for 2 years before transferring to Auburn University. 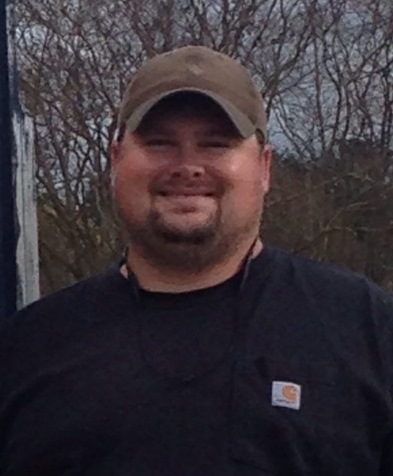 Chase graduated from Auburn University with a Bachelor’s Degree in Agronomy and Soils. His hobbies include hunting, fishing, and training retrievers. Come to a meet and greet for the new Ag Agent on Wednesday, Feb 3 at the Seminole County Extension Office at 426 North Friendship Avenue 3:00pm -5:00pm. Here is the announcement of this year’s Ag Person by Jeff Braswell. 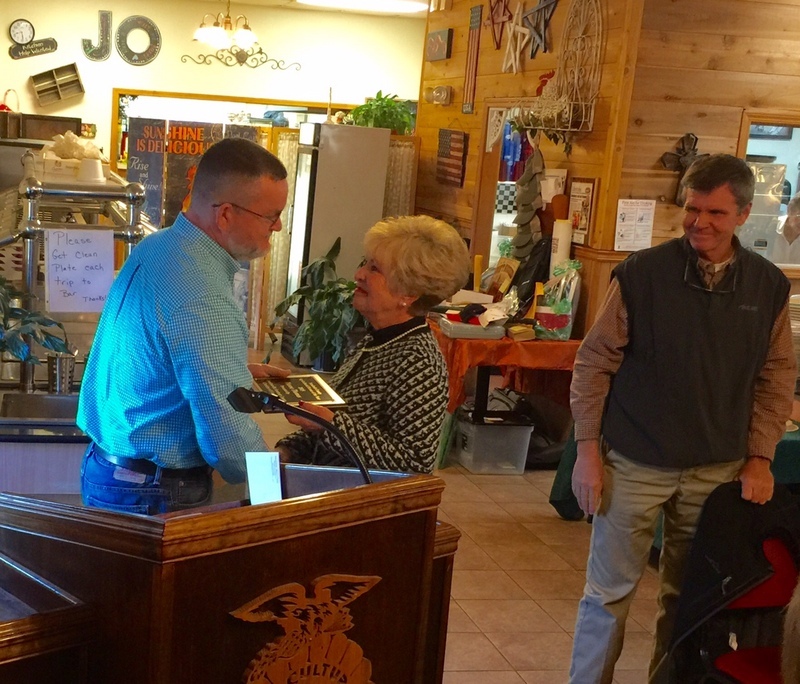 “It is an honor and privilege to stand before you today to present the “AG Person of the Year Award”. Our recipient has been in the business of providing financial assistance to farmers for over 40 years. She has served the agricultural community here and in neighboring counties along with counties in both Alabama and Florida. This year’s honoree has had the opportunity to provide loans to generations of farmers, cattlemen and others in agricultural related businesses. I myself am the third generation, of farmers from my family, to have the opportunity to do business with her. She began her career as an AG Lender in 1975 with the U.S. Department of Agriculture. There she had the opportunity to provide loans to many first-time farmers. She also made operating loans, farm ownership loans, soil and water loans, and rural housing loans low for income rural families. Many first time rural home buyers were assisted by this program. While employed in this capacity she served as the FHA’s Assistant County Supervisor, County Supervisor, and EEO Chairperson for Georgia. During her tenure with the USDA she was named County Supervisor of the Year, and she testified before the Senate AG Committee in Washington concerning Emergency Loan Assistance for GA farmers. Our recipient was later employed with First Federal Savings Bank of Southwest GA where she served as Executive Vice President. There she continued to make loans to those employed in agriculture. Some of those loans were made through the USDA Guaranteed Loan Program. Today’s Honoree made the first USDA Guaranteed Housing Loan in the state of Georgia while employed there. She had the opportunity to provide training to other lenders, regarding the Guaranteed Loan Program, at seminars in Washington D.C. The Honoree’s most recent employment is with People’s South Bank there she’s made those same loans to farmers in the states of Georgia, Florida and Alabama, as City President at several of the bank’s branches. Her dedication to her job and the love for agriculture has earned her the trust and respect of many farmers in this community. Several of them loved and respected her so much that no matter where she worked, even if in another state they did their business with her, my Dad was one of them. Our award winner has served on numerous boards including the Albany Area Community Service Board, the Seminole County Chamber of Commerce, the Ashford Chamber of Commerce and is a past member of the Donalsonville Lion’s Club. This year’s honoree is a dedicated supporter of and all area livestock functions, the 4-H and the FFA, where she received the Honorary Member Award. She is an active member of Flat Creek Baptist Church and serves on the Benevolence Committee there. 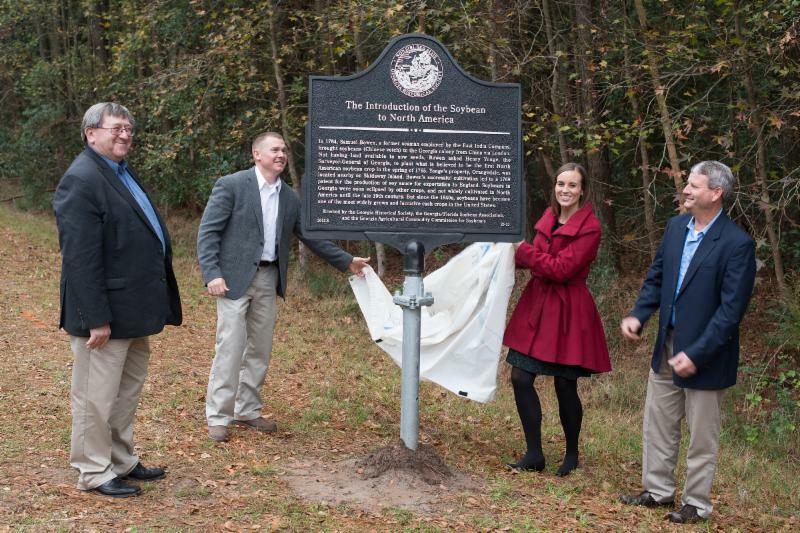 Soybean industry leaders unveiled a historical marker Jan. 9 recognizing that the first soybean crop grown in North America was planted on Skidaway Island in 1765. Participating in the unveiling ceremony were: (from left) American Soybean Association President Richard Wilkins, of Greenwood, Del. ; Georgia/Florida Soybean Association President Walter Godwin, of Pelham, Ga.; Georgia Historical Society Historical Marker Program Coordinator Elyse Butler of Savannah and Georgia Soybean Commodity Commission Chairman Greg Mims of Donalsonville, Ga.
On Jan. 9 the Georgia Historical Society, the Georgia/Florida Soybean Association and the Georgia Agricultural Commodity Commission for Soybeans erected a marker on Skidaway Island near Savannah commemorating the introduction of soybeans to North America. 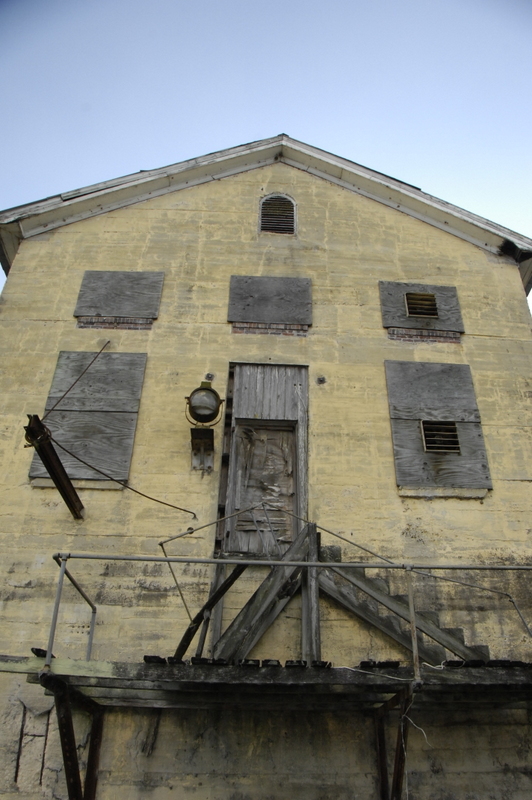 Soybeans were brought to the Georgia colony from China by Samuel Bowen in 1764. 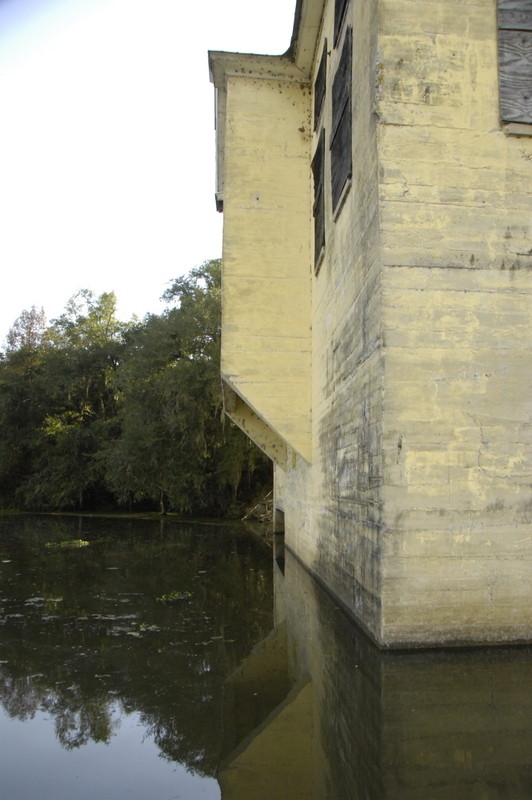 The first North American soybean crop was planted in the spring of 1765 at Orangedale Plantation on Skidaway Island, land owned by then-Georgia Surveyor General Henry Yonge. 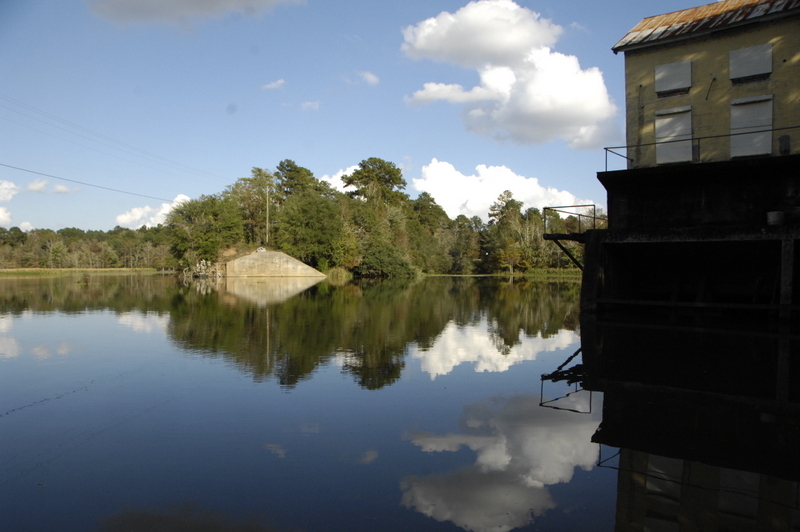 The Orangedale land is now a part of UGA’s Skidaway Institute of Oceanography. The marker is on McWhorter drive approximately one mile from the institute. Bowen later received a patent for the production of soy sauce for exportation to England. Soybeans were not widely cultivated in North America until the late 1800s, but since the 1940s have become one of the most widely grown and lucrative cash crops in the U.S. According to the National Agricultural Statistics Service, Georgia growers produced 13.5 million bushels of soybeans in 2015. 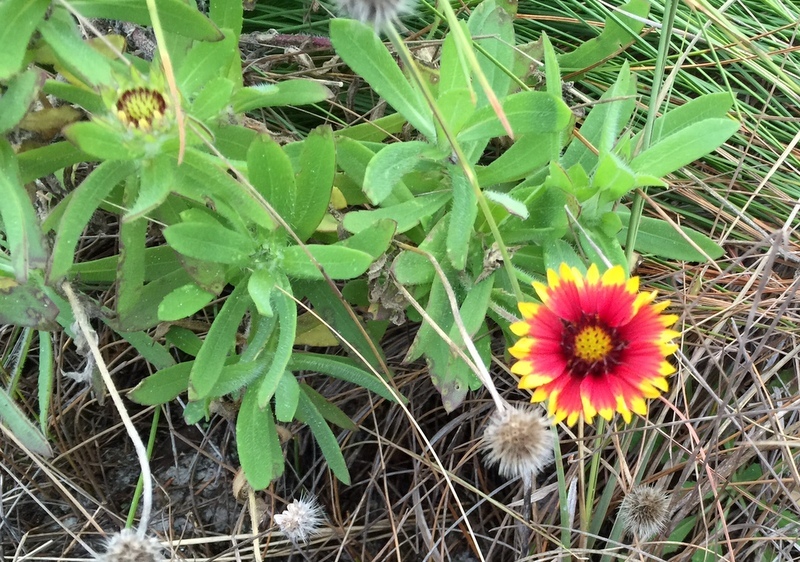 Last week I had a photo of a wildflower growing on sand dunes at Grayton beach. It was Indian Blanket, Indian Blanketflower, aka Firewheel. This is a tough plant being heat- and drought-tolerant. It can flower year round in parts of its range. Native to much of the continential United States. This week I have an entomology question. 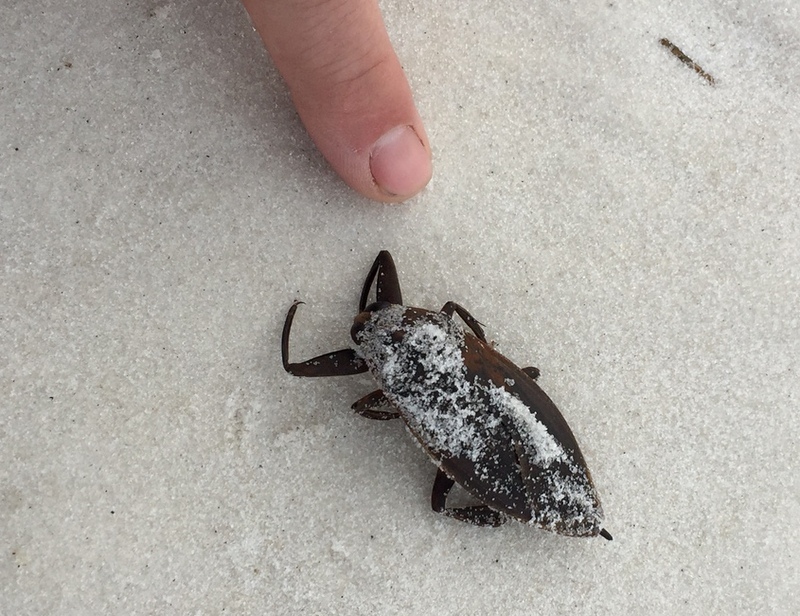 What is this insect I found on the beach? 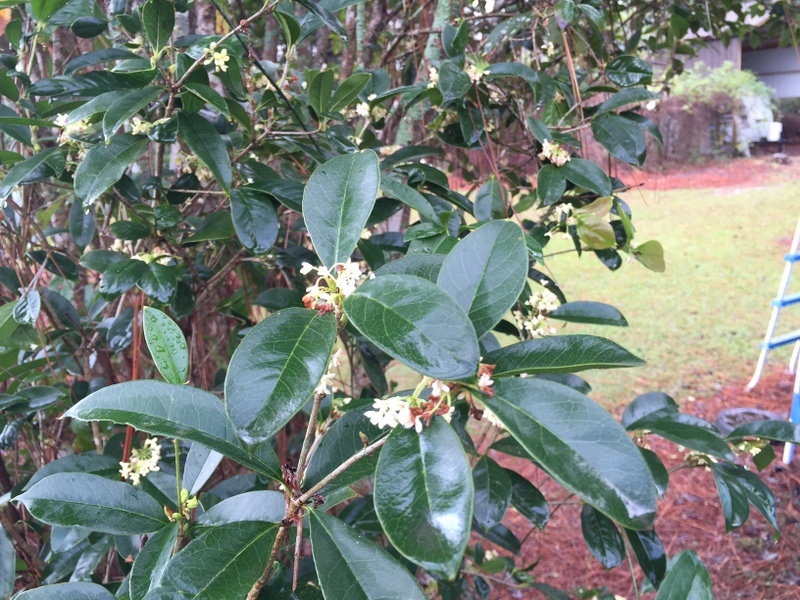 Last week I asked about a sweet smelling, blooming shrub. It’s the Fragrant Tea Olive, Osmanthus fragrans. They grow to 10 to 15 feet tall and a little pruning keeps them in shape. The best thing is the good smelling blooms that start in September and then they bloom sporadically through the winter. Ours are blooming now. This week’s question is about a wildflower I found blooming in the sand dunes at Grayton Beach State Park in Florida near Destin last weekend. What is it? The yearly Peanut Farm Show is coming up in Tifton , Georgia. It’s always a real good event. 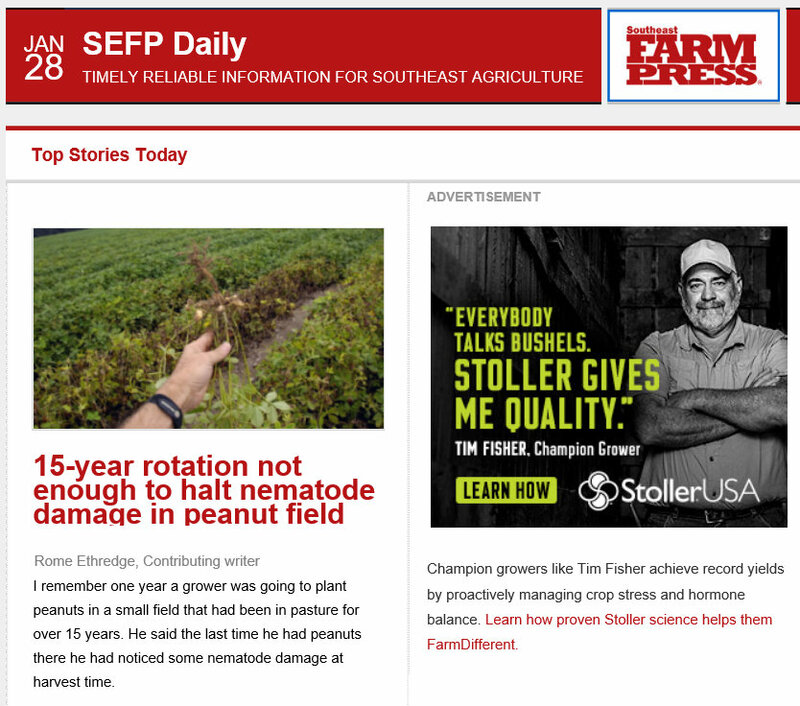 There will be a peanut production conference and a Seed seminar and lots of booths and exhibits where you can find out the latest about products for growing peanuts. 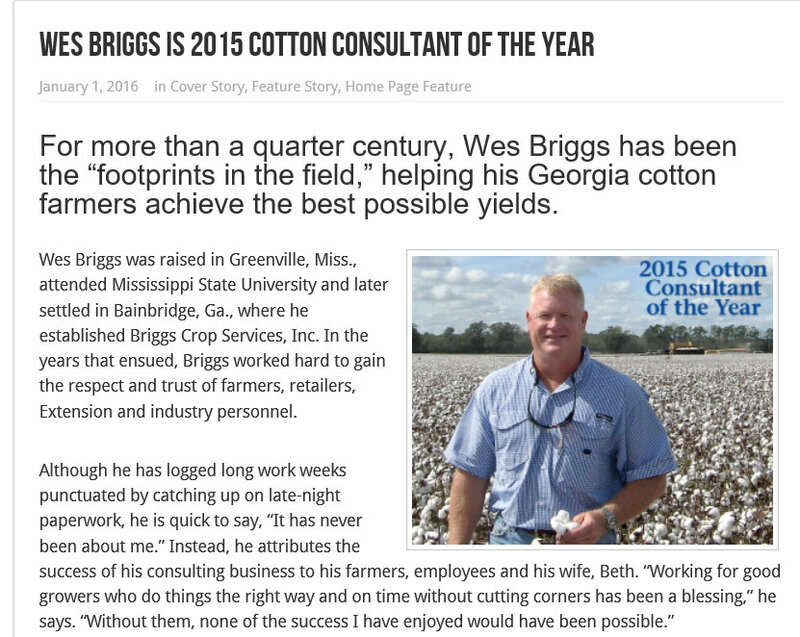 At the Beltwide Cotton Conference in New Orleans this week, local Consultant Wes Briggs was named Cotton Consultant of the Year. He is well deserving of this prestigious award. 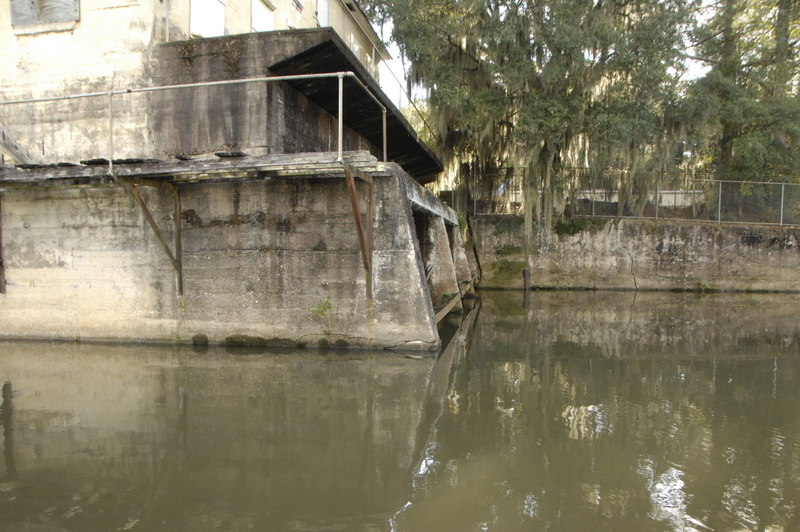 Last week I had a photo of parts of the old Spring creek dam in southern Seminole county. 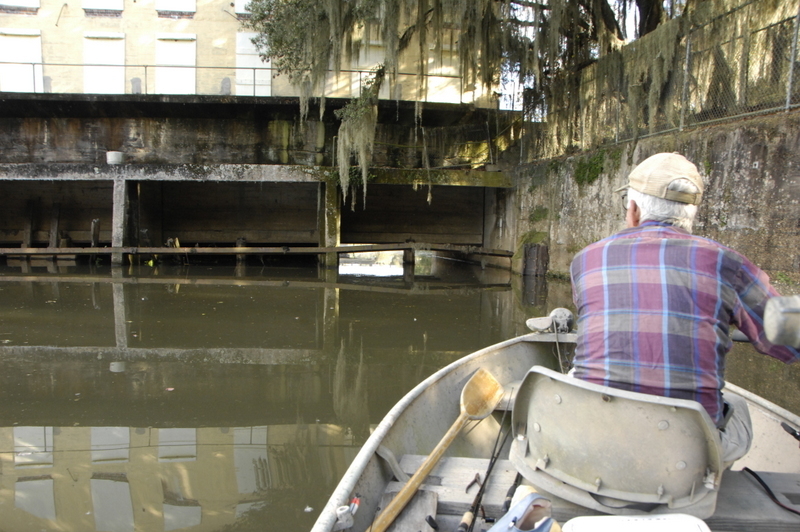 At this point the creek is already backed up as part of Lake Seminole. 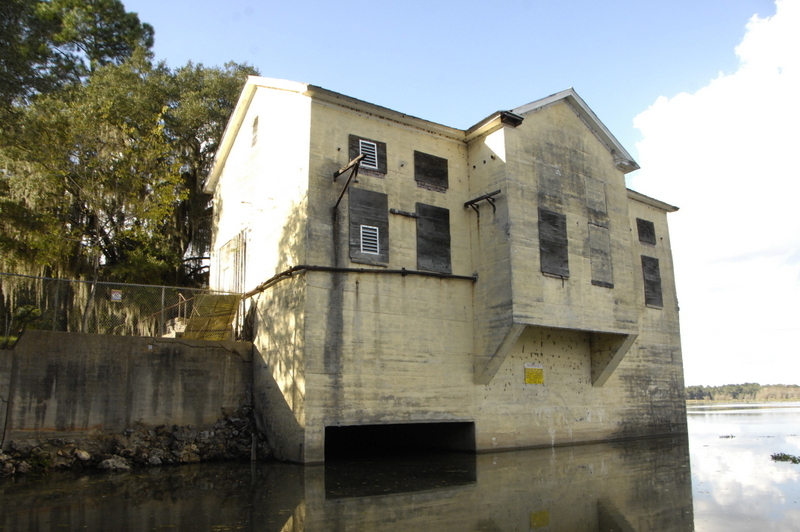 The dam is gone but the old powerhouse still exists and here below are several more photos. 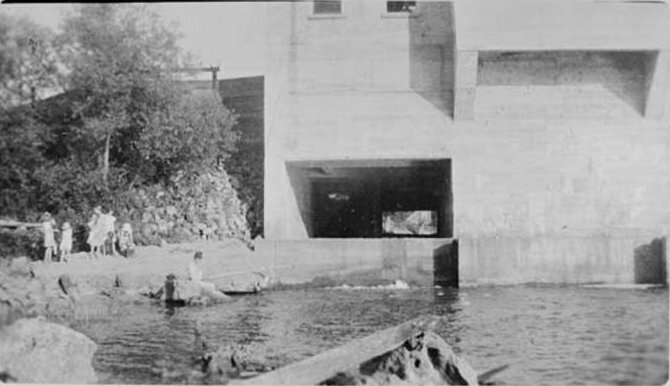 Here’s one old photo I could find from 1938 Fishing below the powerhouse. If anyone has photos please let me know. Here’s the same spot today. This week I have a plant identification question for you. 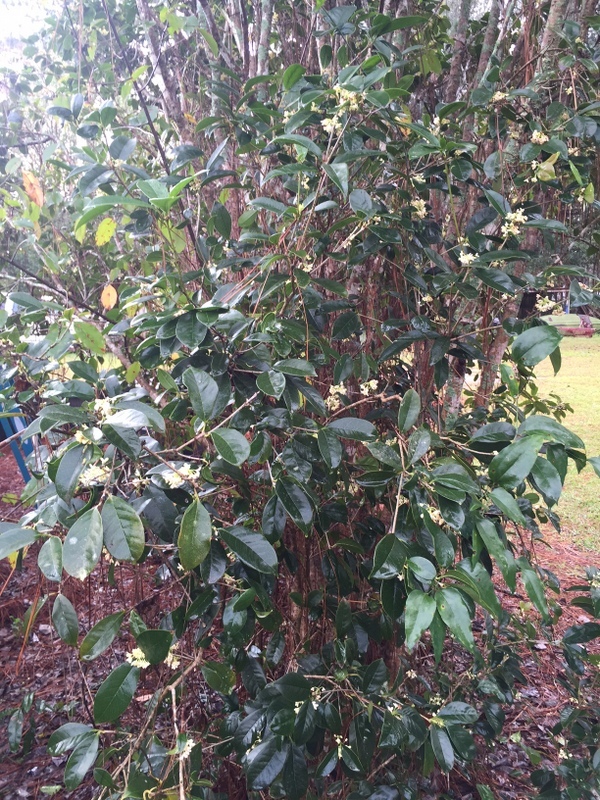 What is this shrub that is blooming now and smells good?